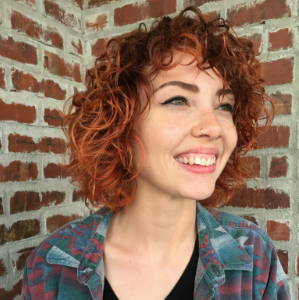 Ashley Googins is a native of Nola who has always had a passion for hair, being inspired by texture, movement, and color. She’s been licensed since 2014 through John Jay Beauty School and went through advanced training courses. She’s a Raw Artist and has been featured in Times for the St. Baldricks Event. She loves taming curly hair and leading you to your desired hair journey while keeping health and integrity. Ashley loves creating new looks for men and women and continues education with techniques and products. She offers cuts, treatments, tape in extensions, and all color services customized just for you.